Quotes for Texas Courier Insurance Available Now! If you are looking for Courier Insurance in Texas for a single commercial vehicle or a fleet you need a company well-versed in all of the available options to protect your business. 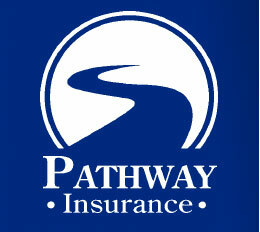 With many years of experience Pathway Insurance can help you find the coverage you need for a price that is affordable. Call us through the work week at 800-998-0662 to speak with one of our agents, or click on Texas courier insurance to begin your online quote. We are open seven days per week to quote new insurance accounts, issue policies, and service your needs. Five days by phone and on the weekends online agents are standing by to help, simply chat with us and we will lend a hand! One Mistake to Avoid If You Are a Courier. Do not assume your personal automobile insurance policy will cover you for courier duties! Example: Rex Howard applies for a driving job with Apex Rapid Delivery Services to earn part-time money delivering medical supplies to nursing homes in the Dallas area on the weekends. Rex uses his family minivan to make deliveries throughout the area. The owner of Apex Rapid Delivery Services requires proof of automobile insurance and Rex provides a copy of his personal automobile policy to Apex. On a Sunday afternoon Rex receives a call from the owner Apex Rapid Delivery Services to make extra deliveries as AJ the normal weekend driver called in sick. It turns out to be quite a busy day and Rex does not mind the extra work or money. Rex is traveling north on 35 East in the left lane and at the last second a truck tire tread comes off of a semi ahead of Rex and Rex immediately swerves into the right lane to avoid making impact with the tire tread. Rex missed the flying tire but didn’t see Tess Hilton rapidly approaching in her 2011 BMW 535i as she was driving a little over 85 miles per hour in the right lane. Rex sideswipes the BMW with his minivan causing quite a bit of damage to both vehicles. Fortunately there were no injuries however the BMW sustained about $16,000 in damages and the minivan around $3500. It was necessary for both vehicles to be towed to a storage facility. Rex immediately calls his insurance company to file a claim. Will Rex’s insurance company pay for the damages to both vehicles? We will learn the answer to this question in our next article. Call Us When You Need Commercial Vehicle Insurance for Couriers in Texas! Speak with the licensed agents of Pathway Insurance when you need Texas Courier Insurance. We are available Monday through Friday 9:00 AM to 5 PM Central Standard Time and online agents are available seven days per week when you use our Chat System. Our office number is 800-998-0662 or feel free to send us your request for a commercial auto insurance quote when you click on Business Insurance for Couriers Texas.